My Making Sense of Affiliate Marketing Course Review: should you buy it? This post may contain affiliate links, see About Us for details. Do you want to learn how to monetize your blog or website to make money while you are not actually sitting down and working? Or even while you are sleeping or on vacation? If so, then you need to learn how to implement a good affiliate marketing strategy for your website. Making Sense of Affiliate Marketing might be the perfect training you need to make money from your blog. Read on for my review and to get the latest discount codes for the Making Sense of Affiliate Marketing course. Making Sense of Affiliate Marketing is a course created by Michelle Schroeder-Gardner. She started her own website called Making Sense of Cents about eight years ago and has created an extremely successful business from it. She’s been featured in Forbes, Huffington Post, Time Magazine, MSN Money, MarketWatch and more. In fact she makes more than $100K per month, much of that from affiliate marketing. Yes, that may sound crazy to you but it’s true. She even shares her income reports each month. Affiliate marketing may seem simple. Just add a few links to your posts and rake in the cash, right? But unfortunately it is not that easy. You must have a strategy and know the most effective way to get your visitors to click and buy. Luckily, this is a helpful and easy course you can take in the comfort of your own home that will give you the tools you need to create an effective system for your site. I think the Making Sense of Affiliate Marketing course is best for those who are new to monetizing their websites or who have tried affiliate marketing before without much success. I already had a few years of experience with affiliate marketing and many years of experience blogging when I started Michelle’s course. Even so, I learned quite a bit from her instruction. Here is my review. Read on for the latest discount codes for Making Sense of Affiliate Marketing too, if there are any. Sign up for Making Sense of Affiliate Marketing here! When you sign up for Making Sense of Affiliate Marketing you will given a username and password and then be able to log in to the online course portal. There you will find the class materials and can get started at your own pace. The information is provided in a clear format with bite sized information and instructions that are easily digested. Whether you are a travel blogger, fashion blogger, food blogger or mommy blogger.. or even all of the above, you can implement an affiliate link strategy that will bring in some income. Affiliate income can grow with your traffic or you can simply increase your earnings with an effective strategy while your traffic remains the same. The sky is the limit when it comes to affiliate income. While this course does not have personalized instruction, one-on-one mentoring or even videos, I think that can be a strength. Read through the training materials at your own pace, and even skip around to the parts that are most relevant to you. There are also helpful worksheets where you can keep track of your goals and ideas. Read success stories from Michelle and other bloggers and learn from their experience. Along with the course you’ll get access to the private Facebook group where you can get further tips and tricks from Michelle and other bloggers. There you can ask questions and get feedback and more ideas. If you prefer learning from videos or having an interactive course you may not like MSoAM as much as other courses. Personally I like both styles of learning, and I think Michelle might benefit from adding a few videos to the course. However the worksheets are helpful. If you already have quite a bit of experience with affiliate marketing this course might be too basic for you. You will likely still learn a few useful things but you might not feel the price was worth it. If you love to do your own extensive research and testing you might find that the course does not add a huge amount of value to what you can learn on your own through experiments, trial and error. However if you are just starting out that could be a long road! Better to invest in some training. Any good course costs money, and sometimes you just don’t have that cash available. But Michelle offers a payment plan that makes this a bit easier. Click here to find out more. Should You Buy Making Sense of Affiliate Marketing? If you want to learn how to implement an effective affiliate marketing strategy on your website and make money blogging then I think you should consider purchasing the Making Sense of Affiliate Marketing course. Many students say that their affiliate income increased significantly after taking the course and implementing the tips and ideas. As I mentioned above, the sky is the limit with affiliate income. The more you know about how to create a successful strategy for your site, the better your chances of creating a website that brings in terrific income. I hope my review helped you decide whether to invest in Making Sense of Affiliate Marketing. 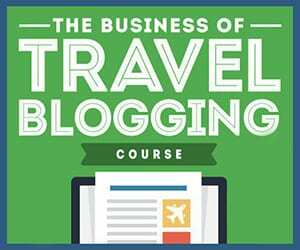 Be sure to take a look at my reviews of the Booking.com Affiliate Program, HotelsCombined Affiliate Program and the best affiliate programs for travel bloggers. Want to learn how to build a great blog? Start here with my Guide to Blogging 101, or try one of the Best Online Courses for Beginning Bloggers. The Making Sense of Affiliate Marketing course is having a New Year Sale!!!! Use code NEWYEAR20 to get a great discount from January 3rd to January 7th! Open a CAPITAL ONE account today and get up to a $100 bonus!